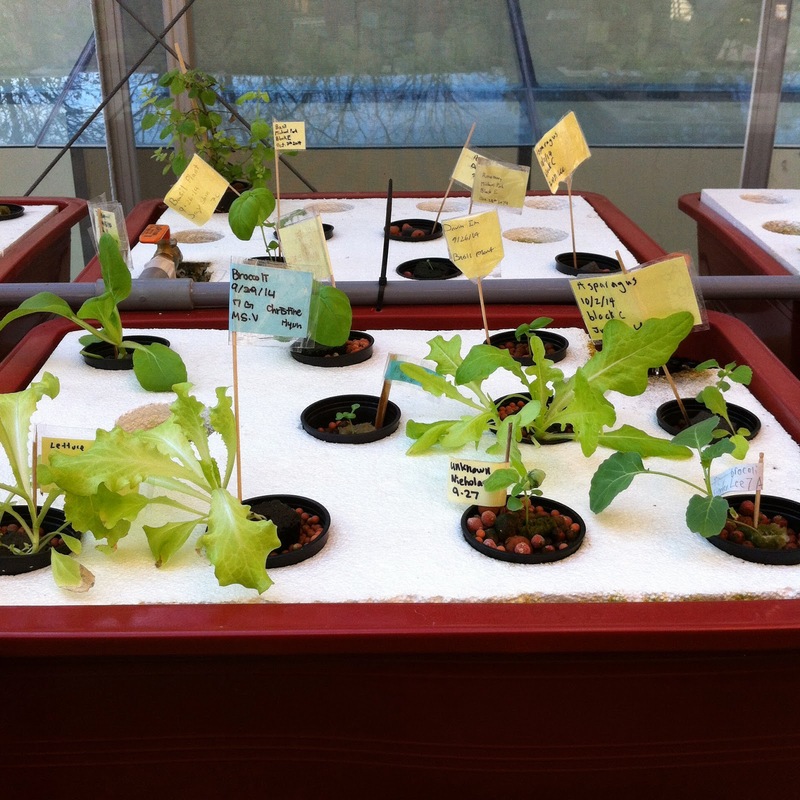 PBL Project based in aquaponics. Bringing real world issues and real world solutions together and trying to change the world one student at a time. Making science exciting. they've become cleaner and more organised. The algae from last year still remains so we have to clean it but otherwise the greenhouse is in good shape. Although the greenhouse is good, some plants aren't growing well and some withered. This may be because we germinated them in autumn when the weather was getting cold and there weren't enough sun. 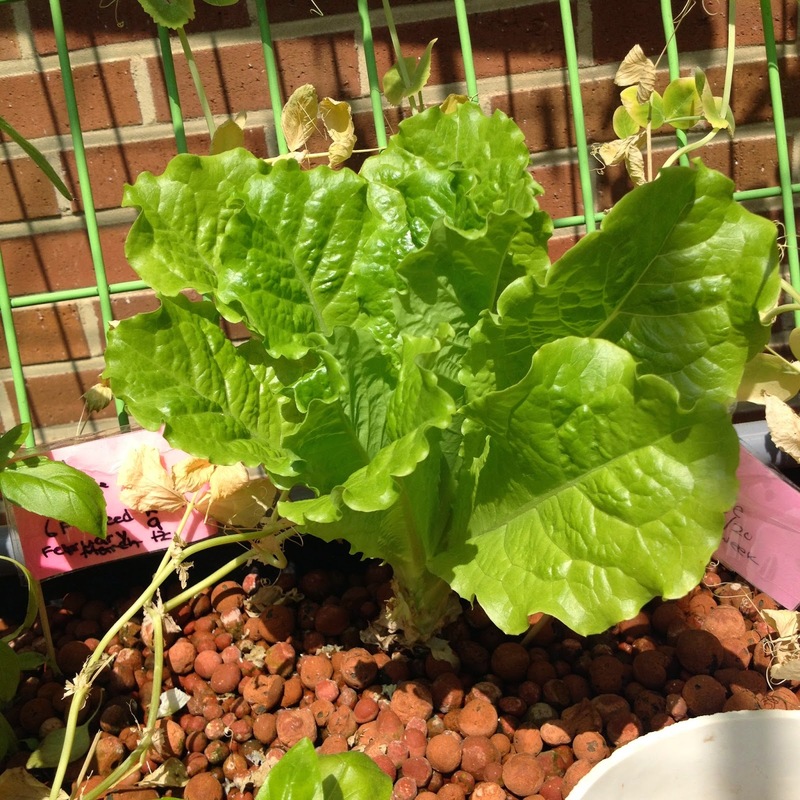 Pumpkins, peppermints, and bok-choy are growing the best and the pumpkin is especially growing at a fast rate. The Vertical System is a system which we made out of recycled 1liter water bottles. We stacked the bottles "on top of each other" and but pipes between them so the water flowed. 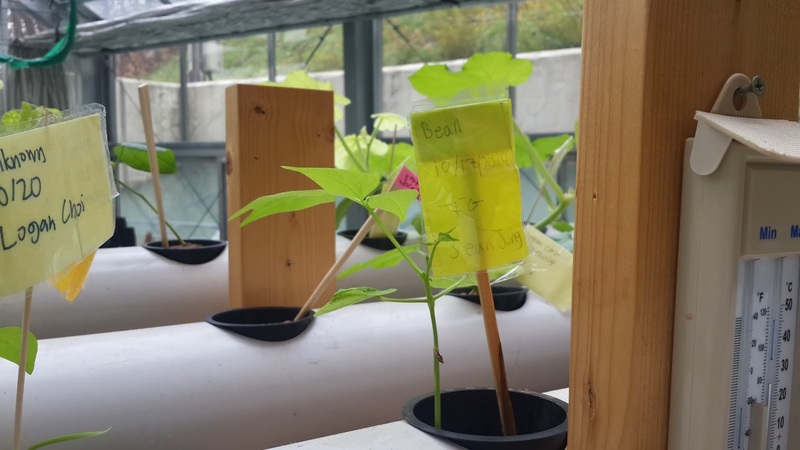 Although this system doesn't require much water since it reuses the water, algae forms frequently in the pipes and the pipes sometimes gets blocked and the pots flood.The vertical system flourished with plants last year. 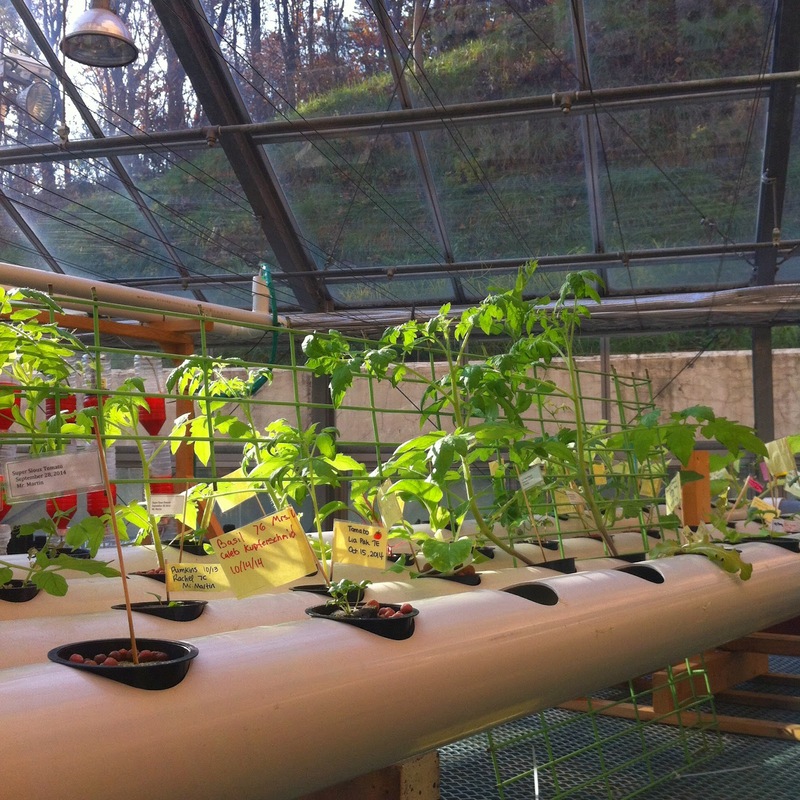 Most of the plants in the vertical system were cucumber and basil. The Grow-bed system is made of clay beads we use for every system and has a total of 3large rectangular "pots" in which 2classes share one large "pot". 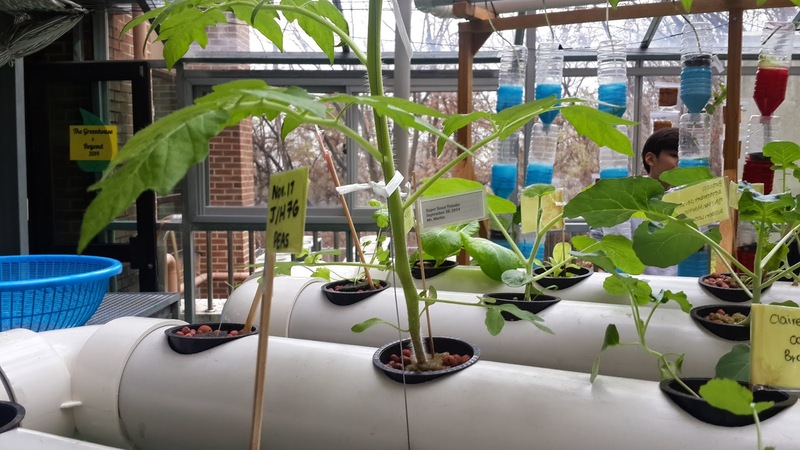 This system can hold big plants and the cucumbers especially flourished in the grow-bed system. There are also "poles" in the back of the grow-bed system so plants like beans or pumpkins can climb and by steadied. This system is good for all types of plants and the water flow is excellent, but the plants sometimes gets unorganized, the plant leaves might get scattered, and the big plants covers the small plants and prevents it from getting sunlight. The horizontal system is a system in which we have plastic pipes with "pot holes" evenly in them. We placed the pots(with plants) in the holes and made sure the roots reached the water flowing in the pipes. 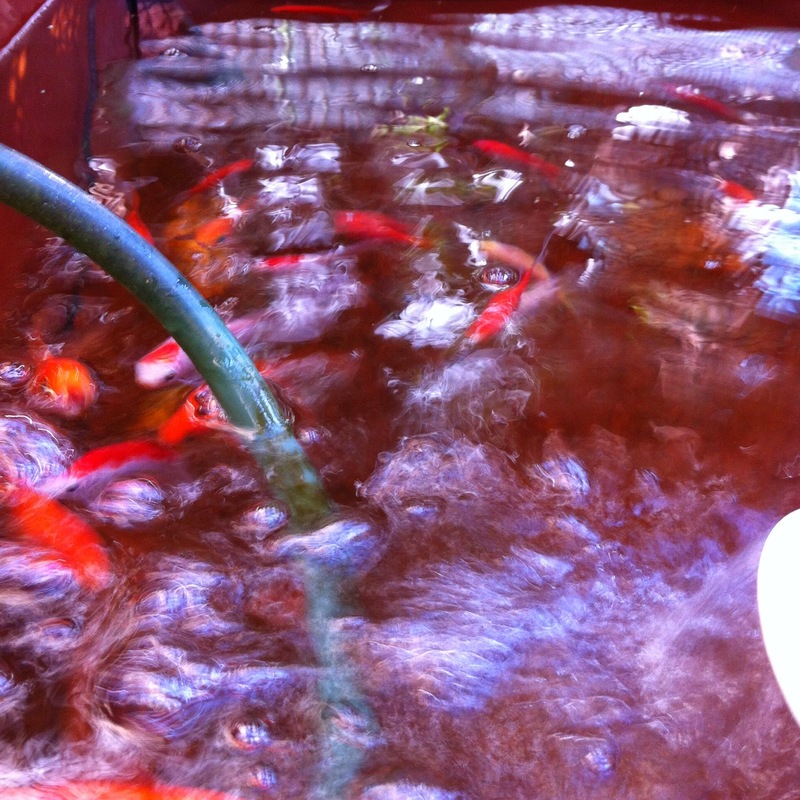 The horizontal system is an aquaponics system and uses fish to nutrient and helps the plants grow bigger and stronger. Our fish survived through the year, even during summer when we didn't take good care of them, and they don't require much money. 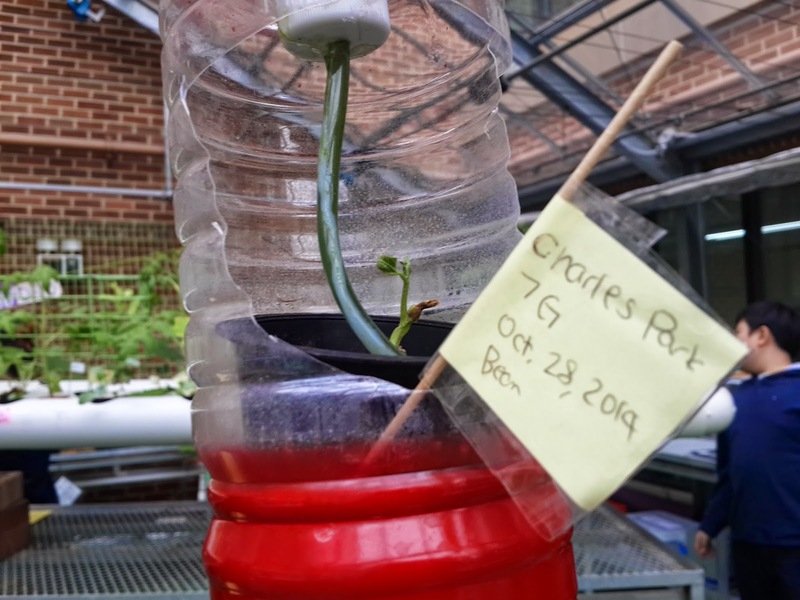 This system is great but big plants like the pumpkin or the cucumber don't grow as well since there aren't enough space for the plants and the roots to grow. Introduction: We have recently started a project called the iGrow Project in which every student contribute to the greenhouse one way or another. 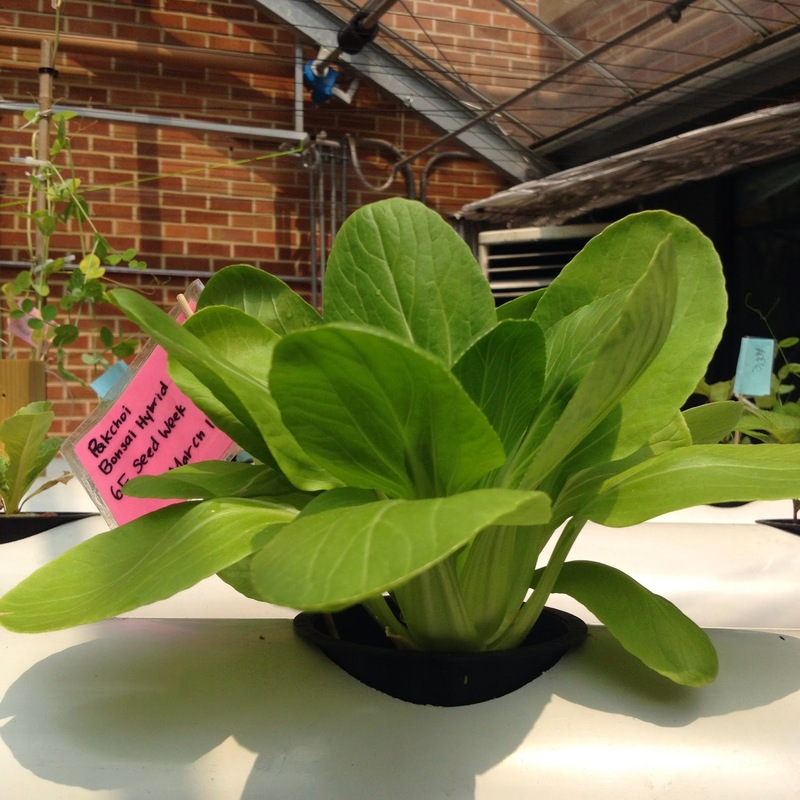 I have chosen to do blogs about the greenhouse. I will post updates to this blog weekly. 1. 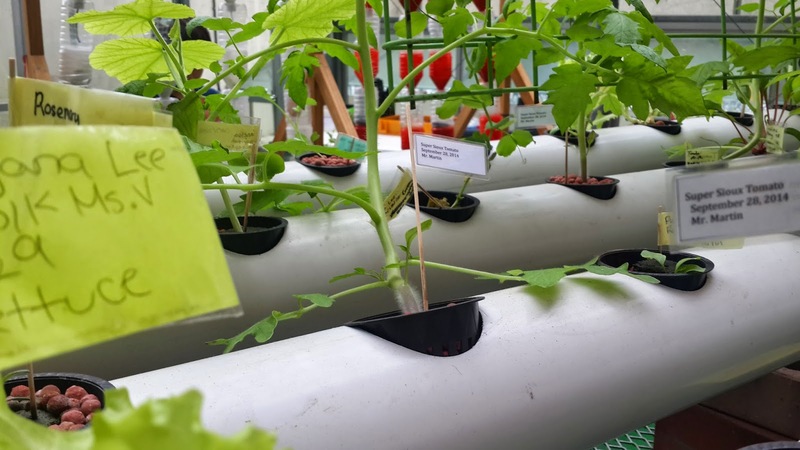 Horizontal System: So far there are not many unhealthy plants in the greenhouse and not much problems are encountered yet, but there are still some plants that are having a hard time growing. For example, take a look at the picture below (picture #1). This plant isn't growing well, and some parts of it is brown, which means it is unhealthy. Take a look at the other picture (picture #2). 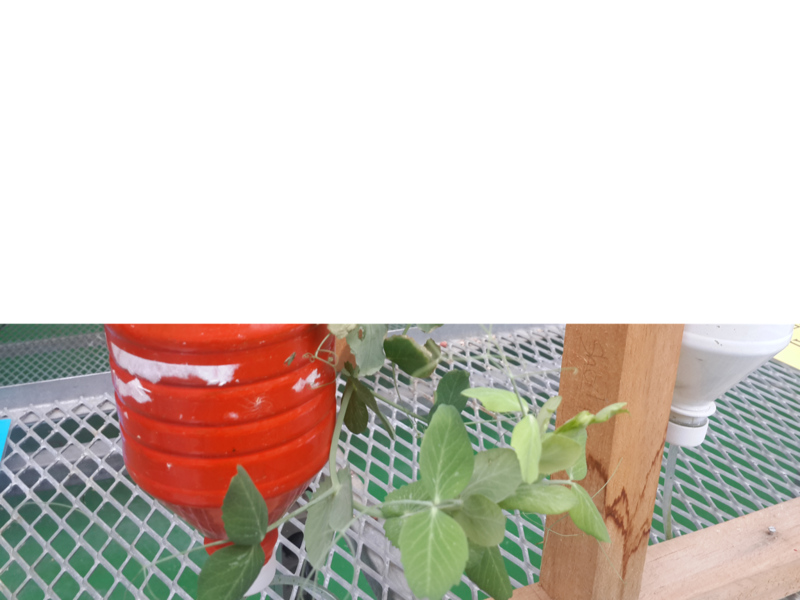 That plant shown in picture #2 is the same type of plant shown in picture #1. So why doesn't it grow equally if they are planted in the same date and are the same type of plants? They received an equal amount of sunlight as well. It turns out that the plant in picture #1 is at the edge of the horizontal system and the plant shown in picture #2 is in the middle of the horizontal system. I thought that might be the problem, but I don't know if my thesis is true yet. 2. Vertical System: The vertical system is very interesting. Plants that are thriving are growing at an exponential rate, while plants that aren't growing isn't showing any growth for the past few days. For example, the plant shown in picture #3 is a bean. 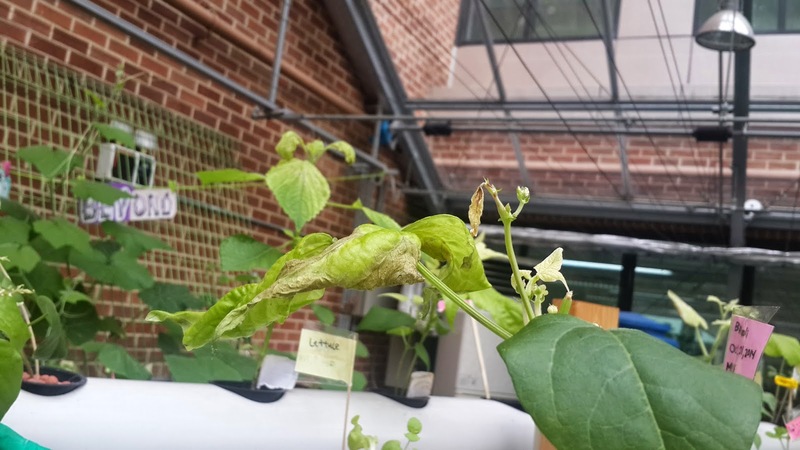 This bean is very unhealthy and seems like it's about to die, but in picture #4, the same kind of plant is growing very well. So why is this? I came up with an idea that it is the effect of the algae in the rubber tube. In picture #3, the pipe is full of algae. On the other hand, in picture #4, the tube is very clean. These two plants are the same type of plant, and is near each other so the germination date, or the sunlight does not have to do anything with the amount they are growing. It's just that one tube is more taken care of than the other. 3. Another Problem: Please take a look at picture #5. The plant is bent, and is about to snap. We have to prevent this from happening and find a solution. I came up with a solution (with Mr. Martin). Picture #6 is after the set up is complete. It requires a wire, and a plastic string. It's quite simple, but I don't like how we have to add a lot of plastic strings to tie the plant to the wire. Perhaps we can use another type of object that would be capable of tying the plant easier and doesn't need a lot of something. This is only a first draft, so we can polish it to make it more effective, and more compact. I would like suggestions from people in the comment section of how to fix this kind of problems.